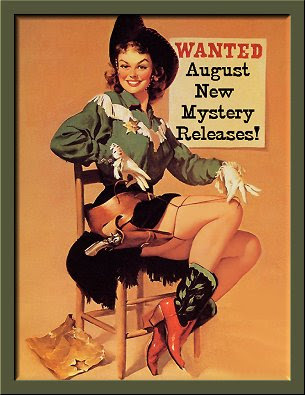 August 2012 New Mystery Releases! Between visits to the Poisoned Pen for a conference and author events and enjoying some excellent reading in the pool, I've almost totally forgotten about all the doctors' appointments I've had, and nearly neglected to check on new crime fiction that will be making its way to bookshelves everywhere during the month of August. Yes, I am a summer girl, and while I'm enjoying myself, I have to pay close attention to the details. Thankfully I have a planner that lies open on my desk right in front of me at all times, and I've trained myself to write everything down in it! 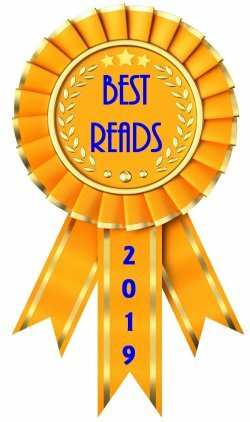 There's some excellent books in store for all of us in August, and I've rounded up details about the ones that have really caught my eye. As usual, they are grouped by release dates, and I've included all the information you'll need to find them all at your favorite book spots. Hopefully I've chosen a title or two that tickles your fancy. Where would we be without our endless wish lists, eh? Synopsis: "Augusto 'Auggie' Velez-Colon is an Afghan vet who learned how to play the guitar during his military stint. 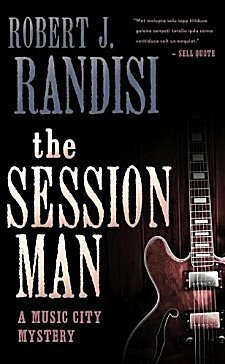 After returning home he pursued his music and eventually turned up in Nashville, where he is now--eight years later--an in demand session musician. He plays and sings on other people's recordings, does occasional show and tour work while waiting for a chance to record his own songs. In the meantime he does private eye work, which usually consists of serving paper, taking photos and tailing suspects. But now he’s been hired by record exec Corky Barnes to deliver an attaché case to an unknown man. He is paid $5,000 and also offered a chance to record. 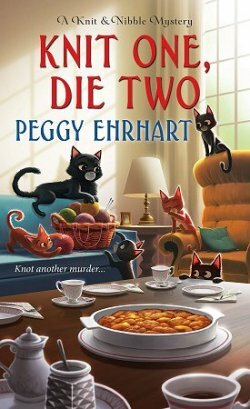 When the man turns up murdered Auggie must find the item he delivered--difficult because he doesn't even know what it was--and clear himself of a possible murder charge. In this, his first major case he is assisted by his friend Jazz Jones, a twenty-something free spirit who is waiting for her own big break, and old time P.I. and mentor Harley Rayborn." Synopsis: "Practical psychologist Liz Cooper and occult professor Nick Garfield are enjoying the sixteenth wedding anniversary celebration for their charming hosts Paco and Lucia Rojas, devout Santeria practitioners who own the historic Botanica Rojas near MacArthur Park. But the small group of friends is left horrified and confused when the evening ends in tragedy. Devastated by loss, Lucia, a Santeria priestess, blames the locals for the escalating crime in her beloved community. 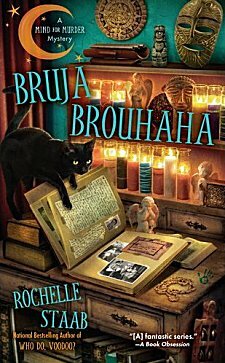 She casts a vengeful hex on the neighborhood, leading strangers and friends alike to dub her bruja--Spanish for witch--and turn on the elderly woman. Lucia may be in harm's way, and it's up to Liz and Nick to unravel a mysterious disappearance and solve a murder before more lives are lost...."
Synopsis: "It’s been years since Casey Maldonado visited her hometown, and the only reason she’s returning now is to get her brother Ricky out of jail, where he sits after being arrested for the brutal murder of Alicia McManus, his girlfriend of several months. Casey believes in her brother’s innocence, but proving that to the cops is a different thing altogether. As Casey and her ever-present companion Death investigate Alicia’s murder, it becomes clear she was not who she claimed to be, from her name to her non-existent past. Instead of a solid history, she left only questions when she died. Where did she come from? What secrets did she know? And, most importantly, who were the three people she spoke of when Death carried her away?" 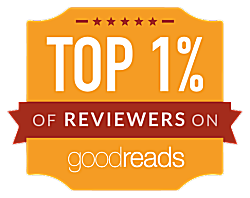 Synopsis: "In her classic tale, Charlotte Brontë introduced readers to the strong-willed and intelligent Jane Eyre. Picking up where Brontë left off, Jane’s life has settled into a comfortable pattern: She and her beloved Edward Rochester are married and have an infant son. But Jane soon finds herself in the midst of new challenges and threats to those she loves…. 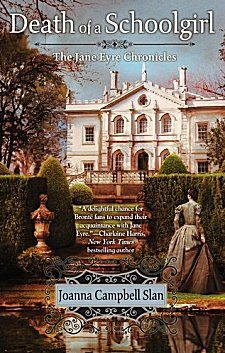 But almost from the beginning, Jane’s travels don’t go as planned—she is knocked about and robbed, and no one believes that the plain, unassuming Jane could indeed be the wife of a gentleman; even the school superintendent takes her for an errant new teacher. 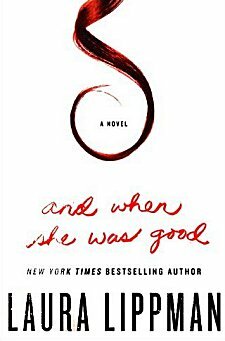 But most shocking to Jane is the discovery that Adèle’s schoolmate has recently passed away under very suspicious circumstances, yet no one appears overly concerned. Taking advantage of the situation, Jane decides to pose as the missing instructor—and soon uncovers several unsavory secrets, which may very well make her the killer’s next target…." Synopsis: "For decades, December 21, 2012, has been a touchstone for doomsayers worldwide. It is the date, they claim, when the ancient Maya calendar predicts the world will end. By the end of the day, Stanton, the foremost expert on some of the rarest infections in the world, is grappling with a patient whose every symptom confounds and terrifies him. And Chel, the brightest young star in the field of Maya studies, has possession of an illegal artifact that has miraculously survived the centuries intact: a priceless codex from a lost city of her ancestors. This extraordinary record, written in secret by a royal scribe, seems to hold the answer to her life’s work and to one of history’s great riddles: why the Maya kingdoms vanished overnight. Suddenly it seems that our own civilization might suffer this same fate. 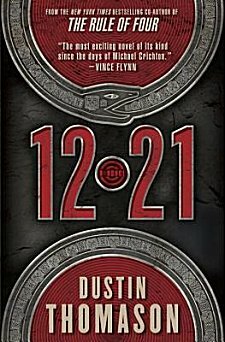 With only days remaining until December 21, 2012, Stanton and Chel must join forces before time runs out." Synopsis: "Tied to St. Mungo's Cross by the cathedral, to be cured of her madness overnight by the saint, a young woman is found in the morning beaten and strangled, still tied to the cross. Who would flout the saint's protection like this? And who is stealing cathedral property? The crows are gathering about Glasgow, watching the movements of clergy and townspeople. 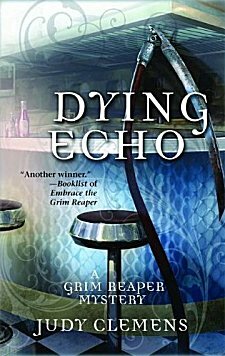 Gil Cunningham must investigate the dead woman, track down the thieves, and identify the watchers in the shadows, particularly the elusive fourth person who holds the secret of what happened in the night. While his wife Alys deals with tensions within the family, Gil questions cathedral staff and apprentice boys, pilgrims and tradesmen, but he uncovers only more puzzles. And then there is another death. How are the murders connected?" Synopsis: "When Hector Lewis told his daughter that she had a nothing face, it was just another bit of tossed-off cruelty from a man who specialized in harsh words and harsher deeds. But twenty years later, Heloise considers it a blessing to be a person who knows how to avoid attention. In the comfortable suburb where she lives, she's just a mom, the youngish widow with a forgettable job who somehow never misses a soccer game or a school play. In the state capitol, she's the redheaded lobbyist with a good cause and a mediocre track record. But in discreet hotel rooms throughout the area, she's the woman of your dreams—if you can afford her hourly fee. For more than a decade, Heloise has believed she is safe. She has created a rigidly compartmentalized life, maintaining no real friendships, trusting few confidantes. Only now her secret life, a life she was forced to build after the legitimate world turned its back on her, is under siege. Her once oblivious accountant is asking loaded questions. Her longtime protector is hinting at new, mysterious dangers. Her employees can't be trusted. One county over, another so-called suburban madam has been found dead in her car, a suicide. Or is it? Nothing is as it seems as Heloise faces a midlife crisis with much higher stakes than most will ever know. And then she learns that her son's father might be released from prison, which is problematic because he doesn't know he has a son. The killer and former pimp also doesn't realize that he's serving a life sentence because Heloise betrayed him. But he's clearly beginning to suspect that Heloise has been holding something back all these years. With no formal education, no real family, and no friends, Heloise has to remake her life—again. Disappearing will be the easy part. She's done it before and she can do it again. A new name and a new place aren't hard to come by if you know the right people. The trick will be living long enough to start a new life." Synopsis: "Madeline Dare trades New York's gritty streets for the tree-lined avenues of Boulder, Colorado when her husband Dean lands a promising job. Madeline, now a full-time homemaker and mother to beautiful toddler twin girls, has achieved everything she thought she always wanted, but with her husband constantly on the road, she's fighting a losing battle against the Betty Friedan riptide of suburban/maternal exhaustion, angst, and sheer loneliness. A new freelance newspaper gig helps her get her mojo back, but Boulder isn't nearly as tranquil as it seems: there's a serial arsonist at large in the city. 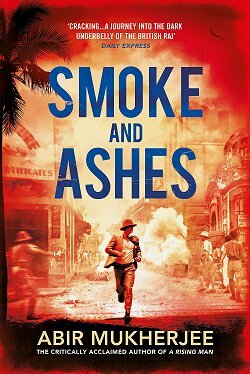 As Madeline closes in on the culprit, the fires turn deadly--and the stakes tragically personal. She'll need every ounce of strength and courage she has to keep the flames from reaching her own doorstep, threatening all she holds most dear." Synopsis: "Wyatt, the cool, ever-evasive thief, snatches the cash easily enough. He bypasses the alarm system, eludes the cops, makes it safely back to his hideout in Hobart. It's the diamond-studded Tiffany brooch—and perhaps the girl—that undoes him. Now some very hard people want to put Wyatt and that brooch out of circulation. But this is Wyatt's game and Wyatt sets the rules—even if it means a reckoning somewhere far from home. 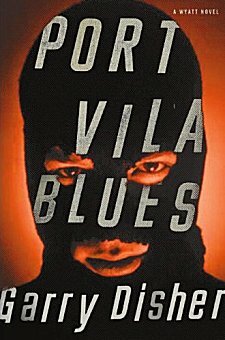 In a murky world where the cops are robbers, old-style criminal Wyatt positively shines." 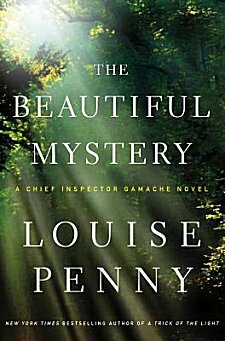 But when the renowned choir director is murdered, the lock on the monastery’s massive wooden door is drawn back to admit Chief Inspector Armand Gamache and Jean-Guy Beauvoir of the Sûreté du Québec. There they discover disquiet beneath the silence, discord in the apparent harmony. One of the brothers, in this life of prayer and contemplation, has been contemplating murder. As the peace of the monastery crumbles, Gamache is forced to confront some of his own demons, as well as those roaming the remote corridors. Before finding the killer, before restoring peace, the Chief must first consider the divine, the human, and the cracks in between." 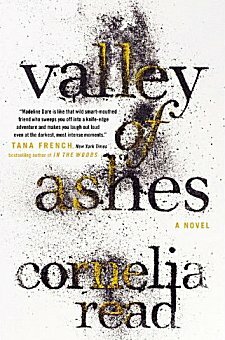 Okay... besides the Louise Penny, the Cornelia Read, and the Laura Lippman, which of these titles caught your eye and made you add it to your wish list? Inquiring minds want to know! 12.21 has caught my eye!! 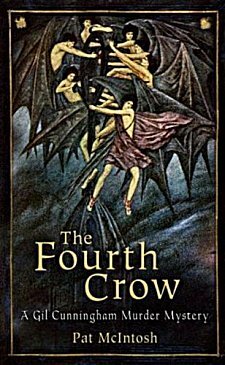 I read Thomason's book "The Rule of Four" a few years back and enjoyed it. Imvglad he's got another book coming out. I will definitely be trying to get my hands on it! I enjoyed The Rule of Four, too, and I can't wait to see what he does with this subject! Have heard many good things about Penny. She's on my list to read. I like the Jane Eyre inspired one, Death of a Schoolgirl. Something different for sure. Penny is a marvel, Jenny-- you'll love her books! I'm glad I'm not the only one who's very intrigued by Death of a Schoolgirl!